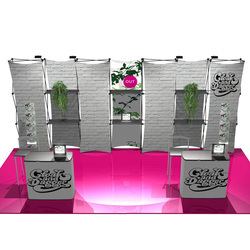 Many of our 10 x 20 portable exhibits have grown up from a 10' exhibit. That means two things: one, you save money because you are repurposing your existing exhibit material and two, you have built in reconfigurability. 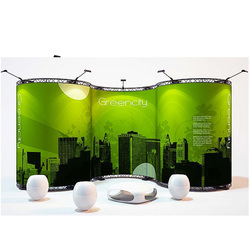 You can use reshape your 20' exhibit into different sizes without additional costs. 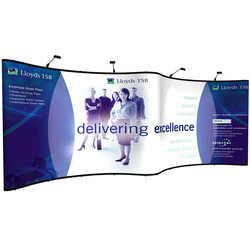 Just take a look at the wide variety of styles available. Let us know if there are other features you'd like to see incorporated in your design and we'll show you how we can do that for you.